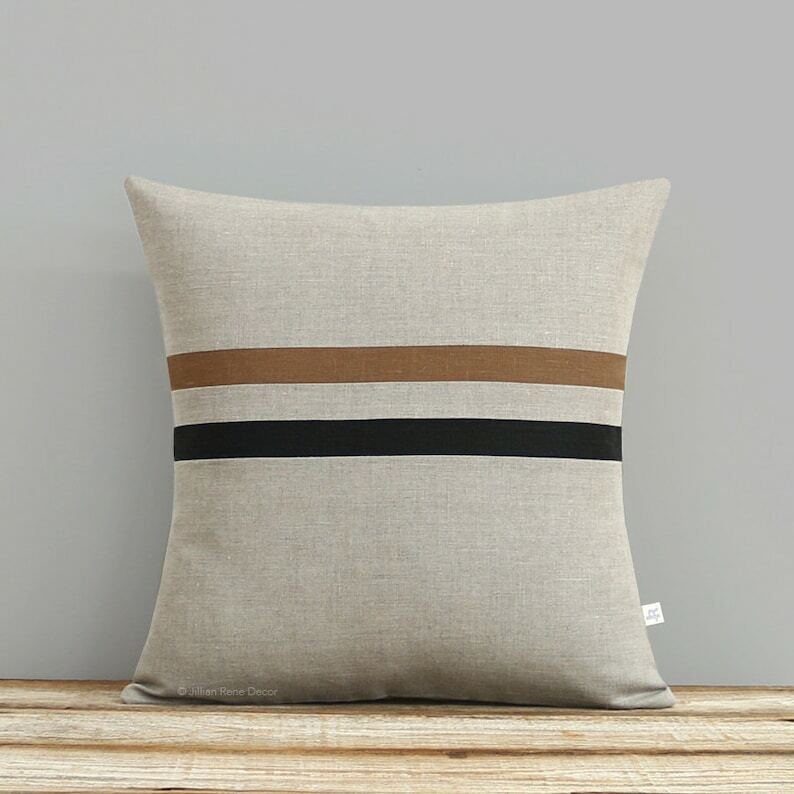 NEW :: Stripes in caramel and black give this natural linen pillow cover layers of texture in rich tones perfect for fall. This color palette and design coordinates perfectly with our complimenting colorblock pillows. This beautiful pillow will make the perfect accent on a chair, sofa, window seat or bed. It would also make a perfect housewarming gift too! 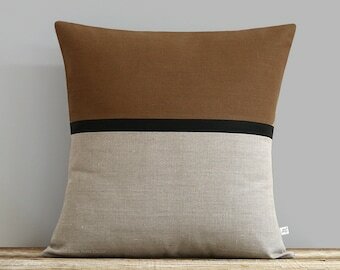 - Front: caramel and black stripes // natural linen. JillianReneDecor™ Copyright 2013-2019. All rights reserved.